Been very busy with work and have fallen behind in class (not good). 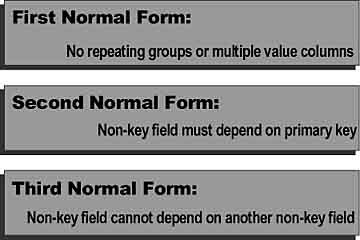 This week we learned about database normalization. When I learned about databases I just took these items for granted, and since I have not had to work with large databases it has not made a difference. This was more about why we make the decisions in database design.